Kitty Bee Designs - Coffee Gift Card Holder! Hello! I hope you’ve been having a wonderful week friends! We are finishing off the last week of school here and getting our teacher gifts together. I thought this adorable Kitty Bee Designs - Venti Coffee Panda Girl was just perfect for the front of this sweet coffee gift card holder greeting card! I cut a piece of patterned paper to create a tag and stamped on a sentiment from a Pretty Cute Stamps set with Pink Distress Oxide Ink. I’ll attach a coffee gift card to the tag with glue dots so it can easily be removed. Some pretty SpiegelMom Scraps sequins and a Little Birdie Crafts Burlap flower, altered with some shiny yellow Tattered Angels Glimmer Mist, finish off the card. We are so thankful for the amazing teachers the girls have been blessed to have this year, and this card is just a small token of our appreciation for them! Thanks so much for stopping by! 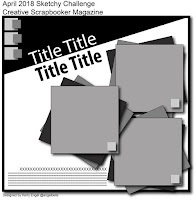 Be sure to check out the Kitty Bee Designs blog for lots of amazing KBD inspiration, the KBD Shop and our current challenge 'Under The Sea' at the KBD Aloha Friday Challenge Blog for a chance to win a prize!! 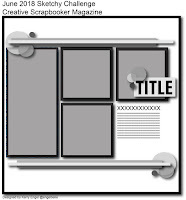 Scrap Shotz Product Reveal - Creating a Camping Pocket Page and VIDEO! Hi there! I'm over at the Scrap Shotz blog today sharing a fun camping pocket page I've created using the awesome Carta Bella Gone Camping Paper Pack, Ephemera and Designer Stamps and Tim Holtz 3-D Texture Fades Lumber Embossing Folder from Sizzix. If you haven't see Friday's post on the big reveal of these products and two more layouts, be sure to check that out HERE. Thanks so much for stopping by! Be sure to head over to the Scrap Shotz blog to see details and closeups - and be sure to check out what's new in the Scrap Shotz Store. Wishing you a very happy and very crafty week! For my project this week I chose to make a quick and easy Canada Day banner since July 1st is fast approaching! I used the CTMH Art Philosophy cartridge for the banner shapes and then layered on leaves from the Straight From The Nest cartridge. I used a little Distress Ink around my edges for a bit of shading. The Celebrate diecut is from the Straight From The Nest cartridge again and the banner is cut from CTMH Artistry. I used a Wild Whisper stamp and some white ink and added some red and white twine to hang my banner. Thanks so much for stopping by! Be sure to head over to the FCCB Blog to see what all the other Designers have come up with - and enter your own patriotic project for a chance to win. Have an awesome week friends! Scrap Shotz - New Product Reveal with 2 Layouts and a Video!! Hey friends! Hope you've had a wonderful week!! Today I'm over at the Scrap Shotz Blog to share a New Product Reveal - showcasing a few of the fun items that are new in the Scrap Shotz Store - Carta Bella Gone Camping Paper Pack, Ephemera and Designer Stamps, Tim Holtz 3-D Texture Fades Lumber Embossing Folder from Sizzix, and Pink Fresh Puffy Alpha Stickers. Here's a look at a couple layouts I created using these fun supplies to document a camping trip we went on last year. I'm so excited to get these photos in my album and get ready for another summer of camping! I used the Creative Scrapbooker June Sketch to start off my first layout, layering the wonderful papers, ephemera and stamps. The lumber embossing folder works perfectly with the outdoorsy theme! For the second layout, I used journaling cards from the cut apart sheets and layered elements to add to a pocket page. I love using pocket pages when I have lots of photos I want to include! Of course, I also added in some gorgeous SpiegelMom Scraps Sequins! Thanks so much for stopping by! 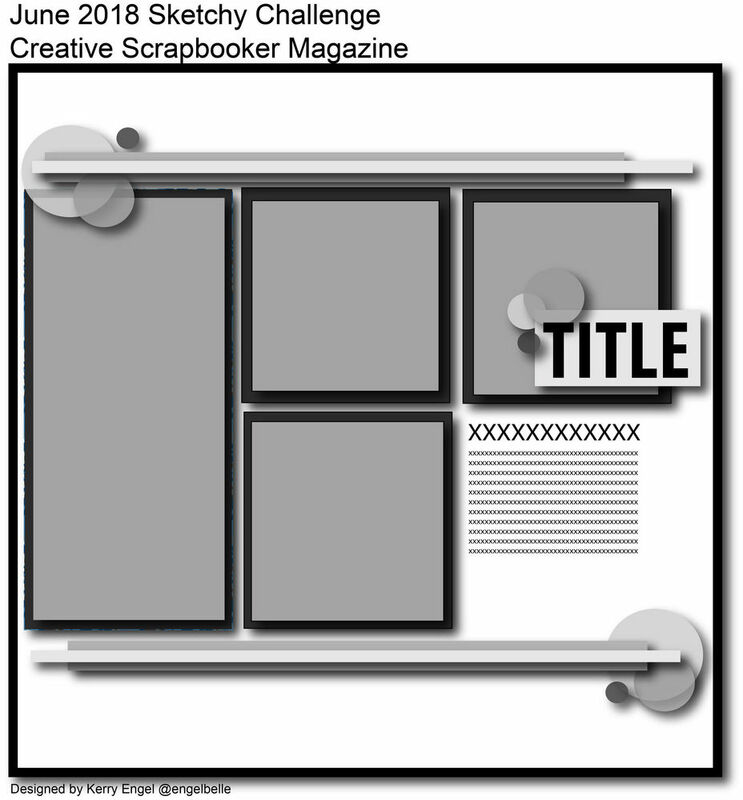 Be sure to head over to the Scrap Shotz Blog to get full details and see closeups of the scrapbook layouts I created with these fun products, and have an awesome weekend! Die Cuttin Divas Guest Designer - Jawsome Birthday Card! Hey friends! 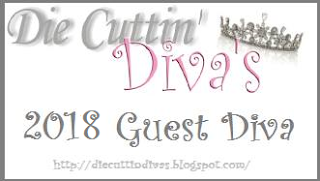 I'm so super excited to be Guest Designing over at the Die Cuttin' Diva's challenge blog this week!! 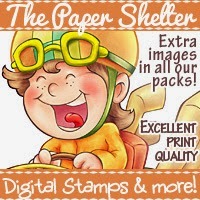 If you are ever looking for inspiration to use your diecuts, or a challenge to link up to, this is the place to go. Our theme this week is 'Embossing' so I thought I'd share a card with some dry embossing - using an embossing folder, as well as some heat embossing, on this Jawsome birthday card using the Sizzix Thinlets Gift Card Bag diecut by Tim Holtz and the Lawn Fawn 'Duh-Nuh' stamp set for a little friend's birthday. I cut the Gift Card Bag from a piece of packaging from a Tim Holtz Stencil - perfect for recycling, and too cool to throw out! I used a circle embossing folder to emboss the blue cardstock and then added some Distress Inks to highlight the raised images. Inside, I stamped some more of the cute shark images, coloured them up and then added a couple cute sentiments along with some SpiegelMom Scraps Sequins. 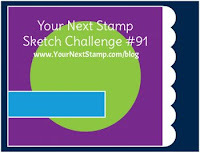 Even the envelope got a little coordinating stamp! After embossing the shark and the bubbles with white on the Gift Card Bag I used the Jane Davenport Paint Over Pens to add an opaque colour. I cut a little tag to add into the bag and tucked the gift card in as well. Thanks so much for stopping by! 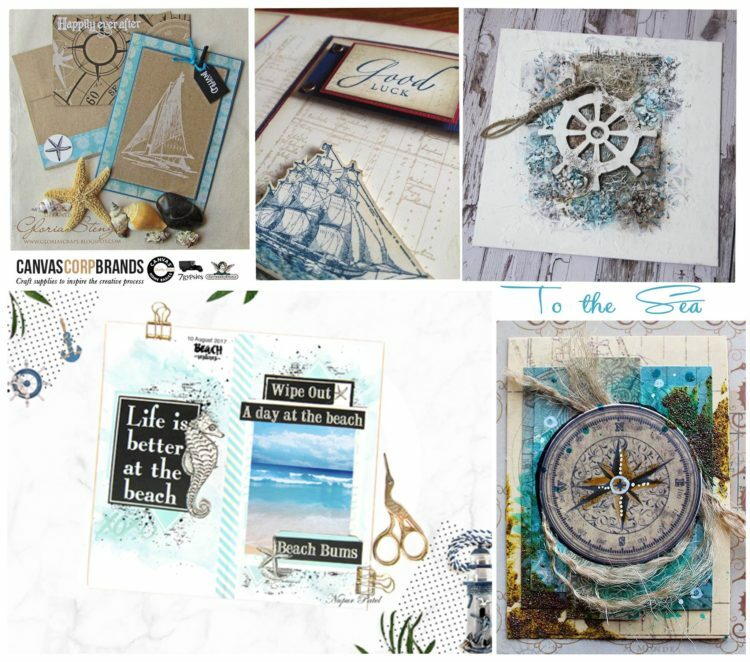 Be sure to head over to the Die Cuttin' Diva's challenge blog to see all the other amazing projects the designers have come up with this week, and enter your own embossed project, with a diecut - we'd love to see what you come up with!! Canvas Corp Brands - DIY Envelope Gift Wrapping! Hey there friends! I'm popping in today to share a DIY Envelope Gift Wrapping project I created with a Canvas Corp Brands 12x12 kraft envelope. We had a little challenge with the Crew (Design Team) to create something with these envelopes. A while ago I shared a Handmade Junk Journal that I made for my niece's birthday - you can check out that post HERE. Of course I needed a fancy wrapping to tuck it into, so that's how I came up with this idea. I used some items I altered previously with Tattered Angels mists and the 7gypsies Architextures paper pad and layered them on along with sentiments cut from various Canvas Corp Brand goodies! I love the burlap strip and string wrapped around the center! And the flowers altered with the TA mists match perfectly. The Canvas Corp Postcard is one of my favourites and just adding a sentiment from the 7gypsies Architextures Rub-Ons and some torn papers blends it in with everything else! Here's a look at the Canvas Corp Brands video where you can get a look at everyone's projects using the 12x12 envelopes! Everyone did an amazing job and was so creative!! Thanks so much for stopping by! Be sure to check out these very versatile 12x12 envelopes at the Canvas Corp Brands Shop, and have a lovely week! Kitty Bee Designs - #120 Masculine Cards! Hi Friends! I hope you've been having a lovely week so far! I've had lots of fun creating projects lately and here's one more for you! It's time for the midweek inspiration for Challenge #120 over at the Kitty Bee Designs Challenge Blog - Aloha Friday! I chose the super cute Kitty Bee Designs Gamer Panda digital stamp to create a fun, masculine card this week! I think this would be perfect for any guy (big or small!) birthdays, hello cards or even a cool Father's Day card. I coloured this guy up with Jane Davenport Magic Wand coloured pencils - which go on like butter 😉 and then used a stitched circle diecut to cut around the image. I used the For The Boys paper pad from Your Next Stamp, some YNS Firecracker Sparkly Gumdrops and the Chill Out stamp from the YNS Waddles Bring On The BBQ stamp set to finish off my card! Canvas Corp Brands - To The Sea June Challenge Layout! Hello! I hope you're having a great week so far! I volunteered on a field trip with my youngest daughter's kindergarten class today - it was very busy, but lots of fun! Hard to believe we are into June already and on our way to the end of the school year. We go to the end of June here... and before you know it it'll be beach weather!! Woo-hoo! I was so excited for this month's Canvas Corp Brands challenge - To The Sea and found these photos of myself at the beach last year on a camping trip. 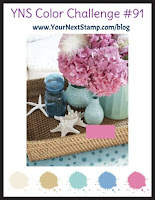 I love how they matched up with the sentiments and fun beach themed supplies I pulled from lots of fun CCB products, which include Canvas Corp, 7gypsies and Tattered Angels. The new Tattered Angels Color Wash Paints were a dream to watercolour with! I also added in some Emerald Creek Dirty Sand Embossing Powder and SpiegelMom Scraps sequins. Here's a look at our mood board for June. We would love for you to link up as well!! Just by including one of our fabulous CCB products - that's Canvas Corp, Tattered Angels or 7gypsies - you'll be entered to win a fantastic prize pack! You can link up at our main post HERE. Emerald Creek - Canada Day Layout! Hi friends! I'm back today for the Emerald Creek blog to share a patriotic layout for our June challenge theme, Canada Day/4th of July! Of course I had to use a sweet photo of the girls celebrating last Canada Day, and I had a lot of fun creating my own customized embellishments using the Emerald Creek Powders! You can check out the Video HERE to see the process I used to create this fun layout! 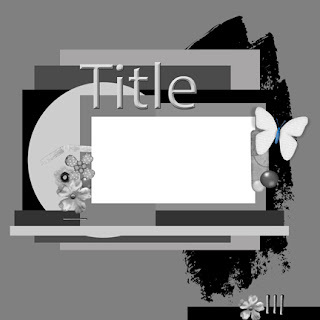 I used the June Scrap Shotz sketch challenge for this layout! Thanks so much for stopping by today! Be sure to head over to the Emerald Creek blog to see closeups of the details on this layout, find out how to enter your own patriotic project for a chance to WIN!! and have a wonderful, crafty week. Scrap Shotz - Simple Stories Hello Summer Album! Hi friends! 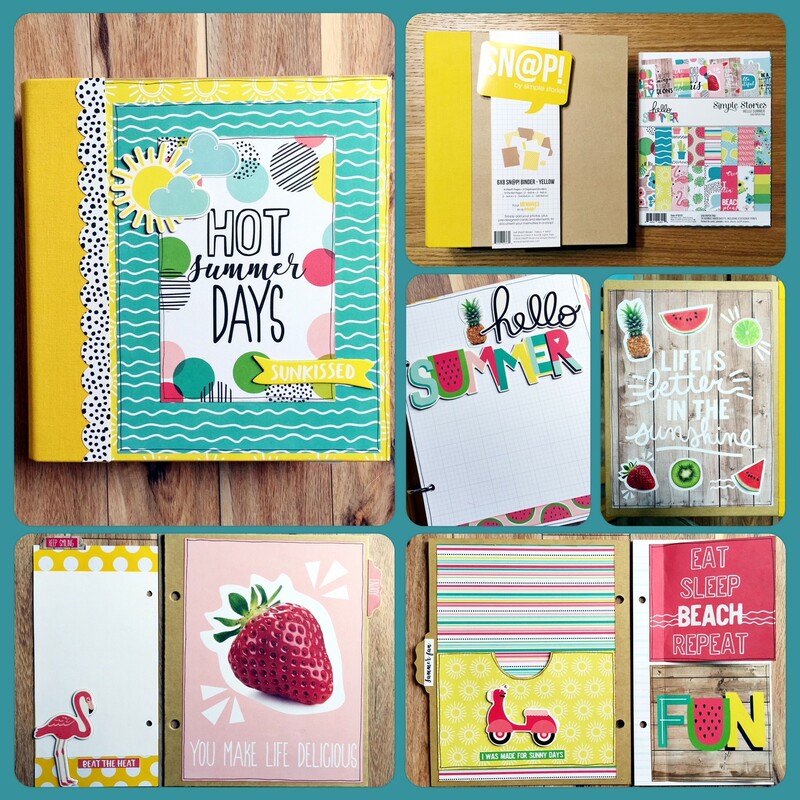 I'm over at the Scrap Shotz blog sharing the Simple Stories Hello Summer 6x8 Binder Kit today. I put this kit, which comes with all the supplies needed, together in an afternoon with my 11 year, Amie. There are detailed instructions so you can easily and quickly complete each page and have a summer album ready in no time - just add your pics! Here's a look at the video where you can see everything included in the kit as well as completed album flip through! I can't wait to add my summer photos to this album! !